December 5, 2018 10:36 pm. Leg wraps were the talk of the commentary booth at Sha Tin Racecourse this morning as five horses from Japan’s talented cohort upped the ante ahead of their assault on Sunday’s (9 December) HK$93 million Hong Kong International Races. Sungrazer’s four blue bandages gained approval, matching, as they did, his blue hood and bridle. The Deep Impact four-year-old, runner-up to Rey De Oro in the G1 Tenno Sho (Autumn) last start and top-rated in the Hong Kong Cup (2000m), quickened powerfully under the stands’ rail to clock 52.9s for 800m, which included the session’s fastest closing split of 22.4s. Vivlos led another talented mare down the stretch this morning. The Mitsuru Hashida-trained Deirdre – her blue bridle and bandages contrasting with Christophe Lemaire’s red jacket and cap – moved well. 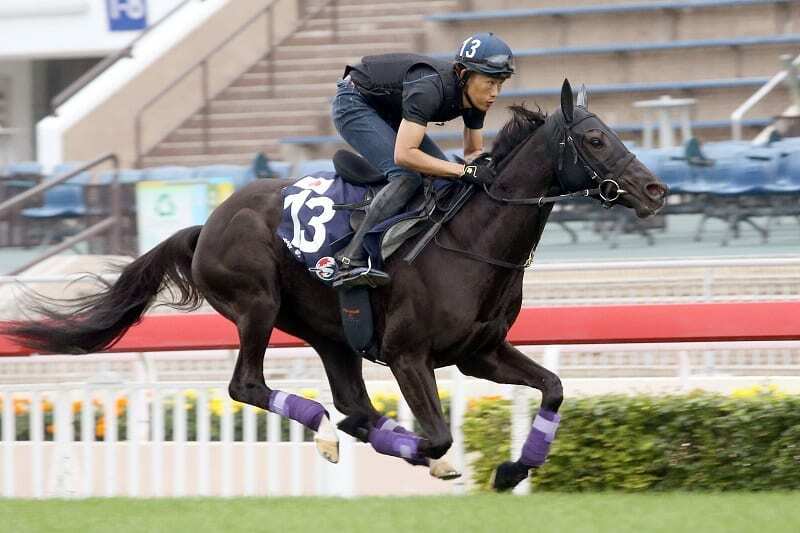 The Hong Kong Cup runner, a dead-heat third in the Dubai Turf in March, clocked 51.4s for 800m (28.2, 23.2). Trainer Yoshito Yahagi had Mile candidate Mozu Ascot and Hong Kong Vase (2400m) contender Lys Gracieux in alternately-placed white and red leg wrappings to match their flashy tack. Japan’s big Hong Kong Mile hope, Persian Knight, is likely to gallop on the turf tomorrow morning (Thursday, 6 December) according to connections.